Freshman orientation for incoming 2019-2020 freshman will be held on Wednesday, April 24, 2019 from 6-7 PM in the commons. Students and parents, please plan to attend this informational meeting as you begin your journey into high school. Please note this is a change from April 15th to April 24th! 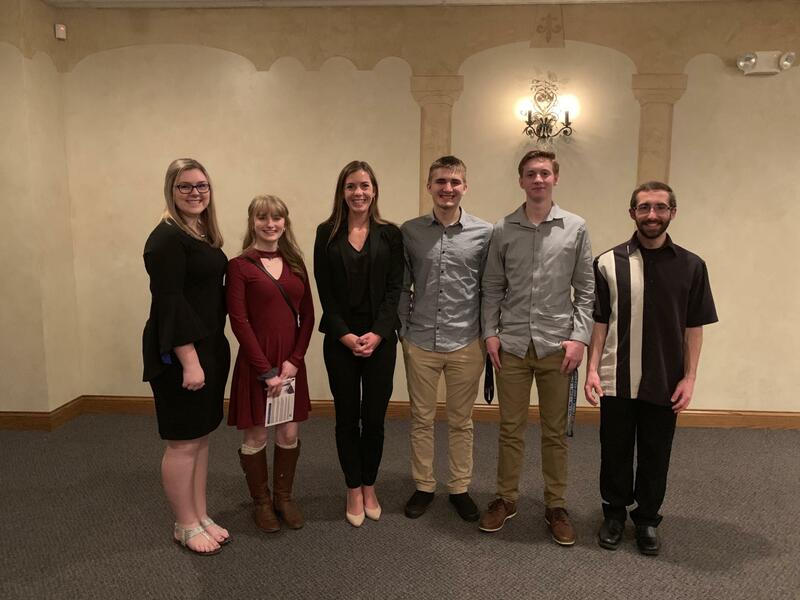 Students from Tri-Village High School under the supervision of their American Government instructor, Mr. John P. Beard, were able to attend the annual Lincoln Day Dinner hosted in Greenville, Ohio. 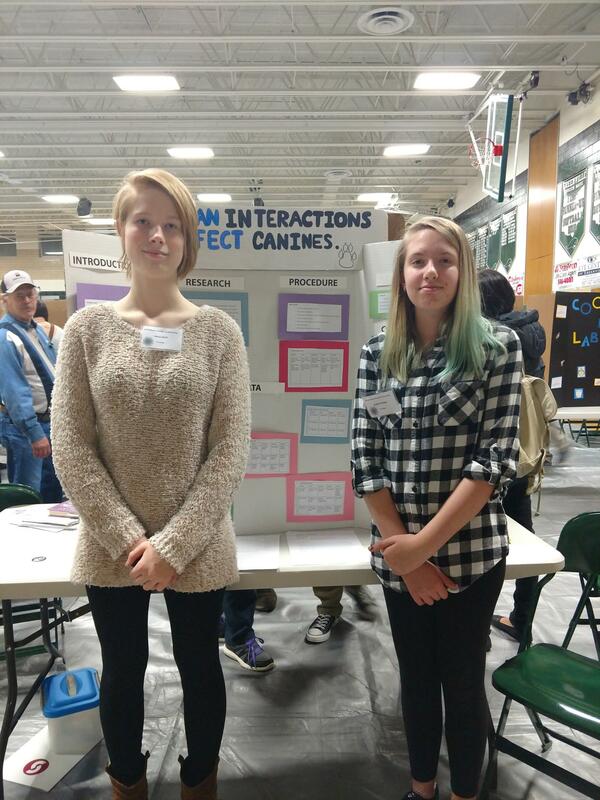 The students got to meet local, state, and national government officials at the event. Some of the officials who attended were as follows: U.S. Congressman Jim Jordan, U.S. Congressman Warren Davidson, Ohio State Senators Matt and Steve Huffman, Ohio House of Representatives Jena Powell and Susan Manchester, Ohio Supreme Court Justices Sharon Kennedy and Judy French. 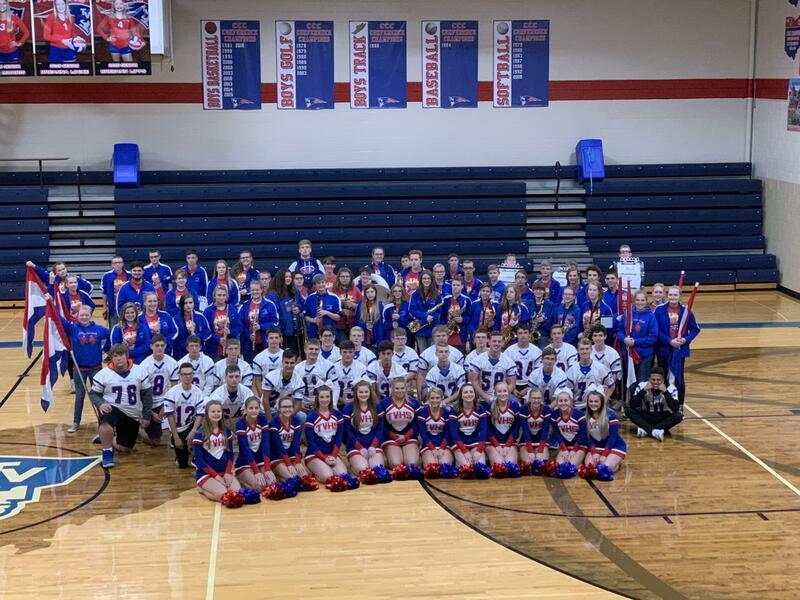 The students who attended from Tri-Village were as follows: Carsen Munchel, Zachary Dowler, Cheyann Hall, Harley Ketring, and Alisha Rismiller. The students are pictured here with the Ohio House District 80 Representative Jena Powell. 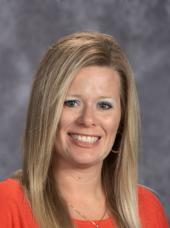 This is another example of how our teaching staff works tirelessly to provide our students with rich and meaningful educational experiences. 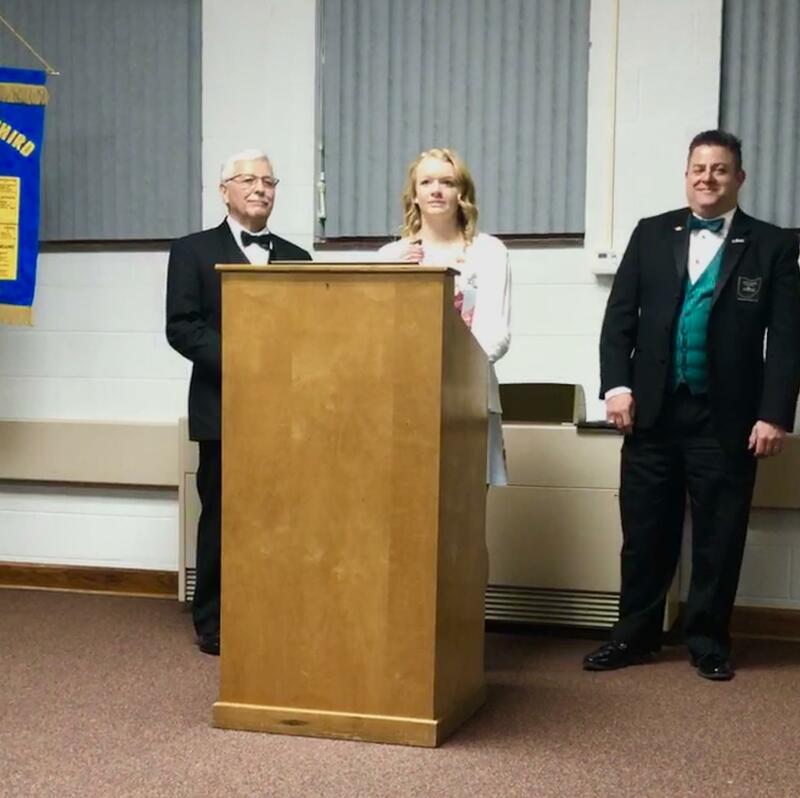 Lucie Morris received the Excellence in Youth Award from the Third Masonic District in Ohio on Friday March 15th at the reception for the Grand Master of Masons in Ohio. This award is given to acknowledge students who exemplify service and scholastic achievement. It is given to two recipients from the Third Masonic District which includes the following communities: Greenville, Tipp City, Troy, Gettysburg, Port Jefferson, Piqua, Sidney, West Milton, and Arcanum. Lucie was nominated locally by Mr. John Beard who is a member of Greenville Masonic Lodge #143. 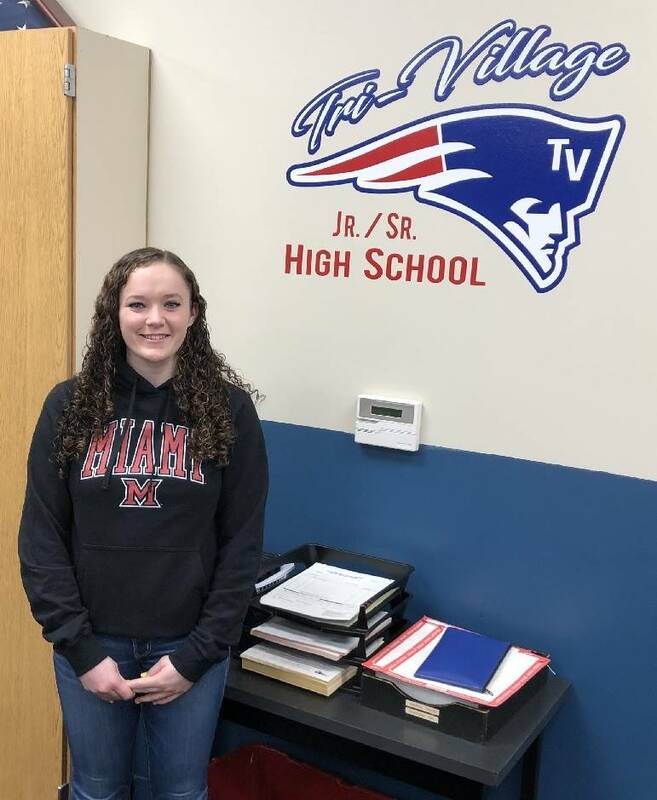 Cassidy Ditty, a junior member of the Tri-Village MVCTC FFA has been awarded an Ohio FFA Proficiency Finalist in the area of Equine Science – Entrepreneurship! This award is in recognition of Cassidy’s Supervised Agriculture Experience (SAE) where she buys, sells, trains and teaches riding lessons on her 14 horses. 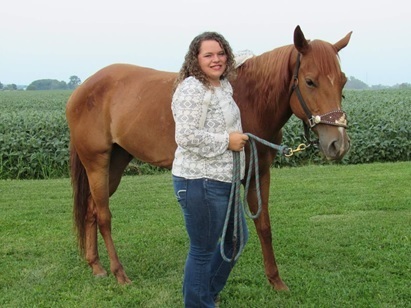 Miss Ditty is an active member of the chapter Equine Judging team and Job Interview team. She has participated as a leader in projects such as Shoes 4 The Shoeless and Children in Agriculture as well as serving as a Co-Chair of several committees. 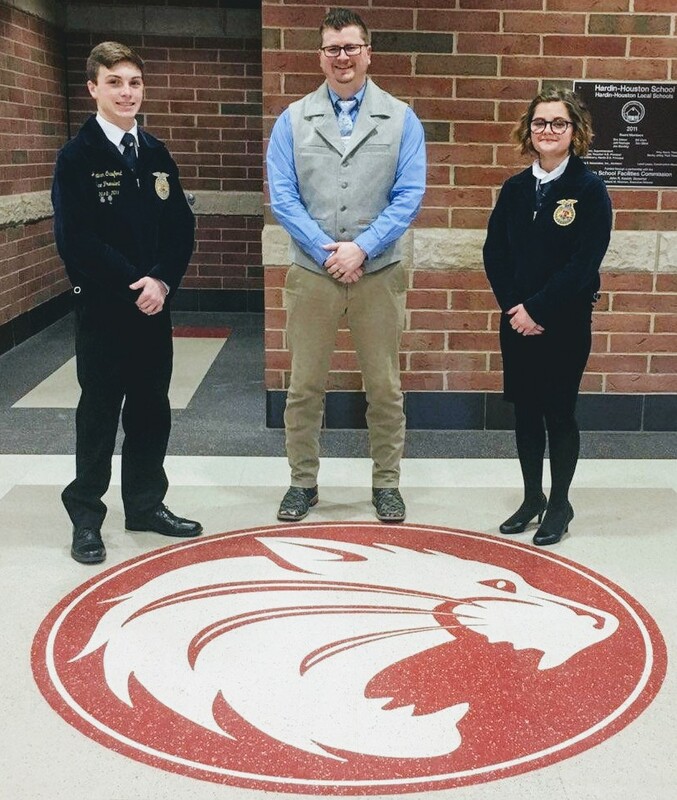 Cassidy will be joined on stage with the 3 other Finalists from across the State of Ohio at this year’s 91st Ohio FFA Convention in Columbus, Ohio on May 2-3, 2019 to find out the final 4 placings! 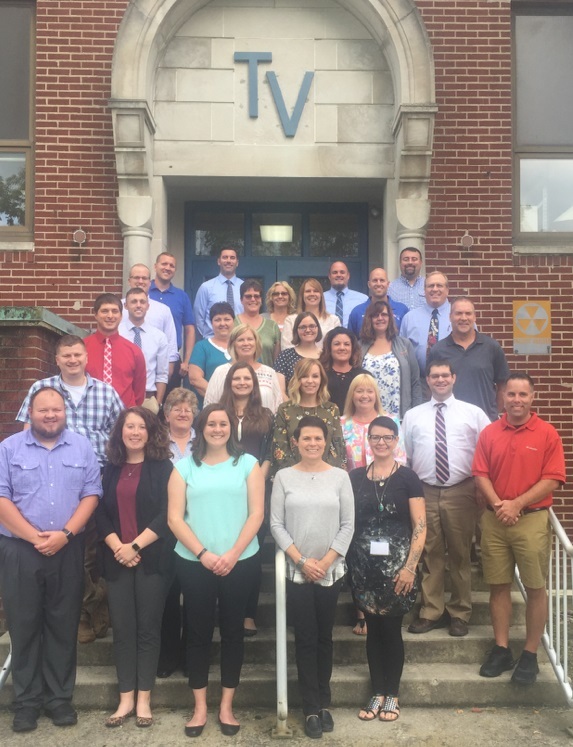 The Tri-Village FFA and Agriculture Education Department is under the direction of Advisor Justin Slone and is proudly a Satellite Program of Miami Valley Career Technology Center. Cassidy Ditty was selected as an Ohio FFA Finalist (Top 4) in her Proficiency Award area of Equine Science-Entrepreneurship!! 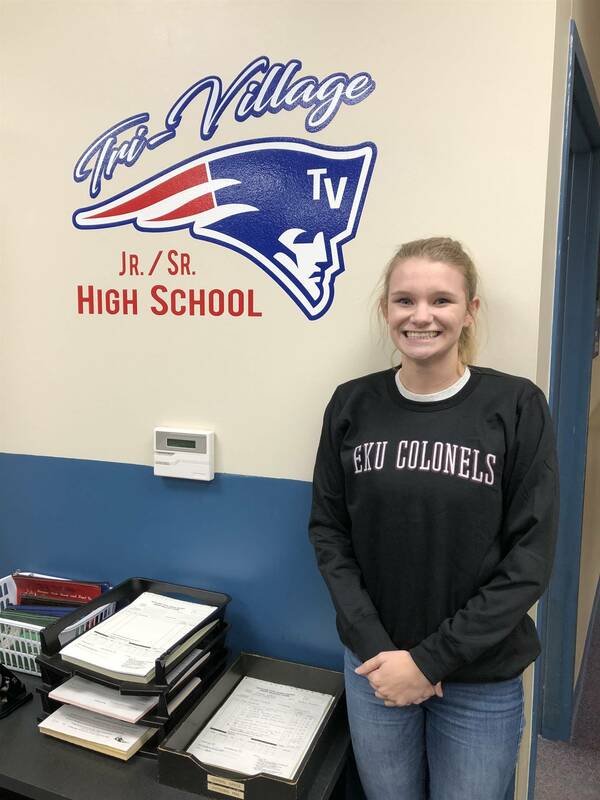 Cassidy will interview at the State FFA Convention in May and will find out her final placing on stage at Convention! 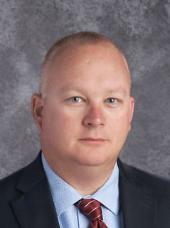 Cassidy will be the first since Gabe Watern, Trent Laux and Austin Mikesell around 2011-2012. Jared Godown, Jonathon Crawford, Cassidy Ditty, Maddie Downing will all recieve their State FFA Degree. Brittany Brewer will receive her American FFA Degree in the Fall at National Convention. 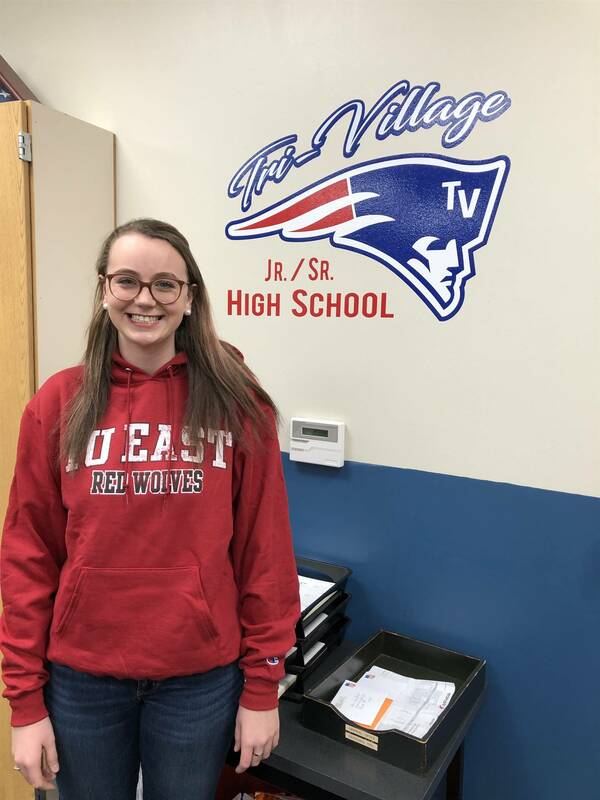 Maddie Downing was selected as 1st in the district and a State Honorable Mention for her Proficiency Award area of Fruit Production! 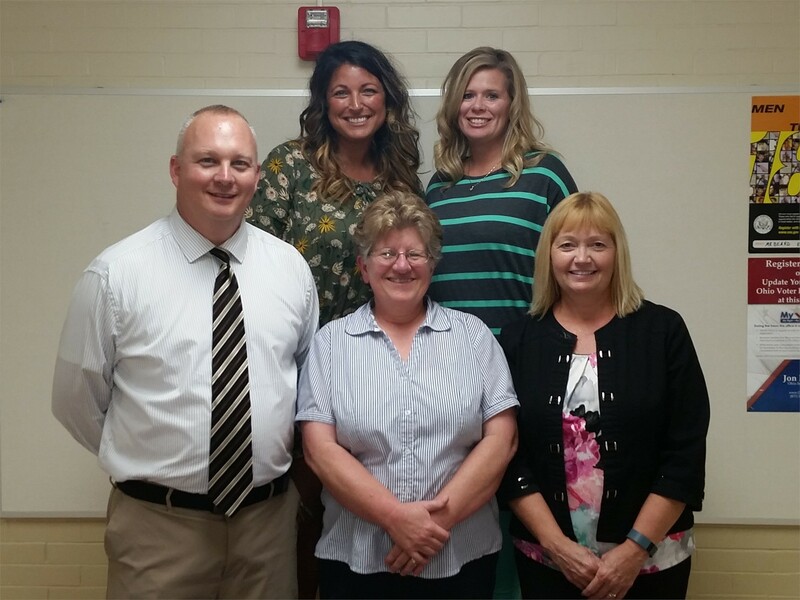 HISTORY made at Tri-Village MVCTC FFA Chapter! 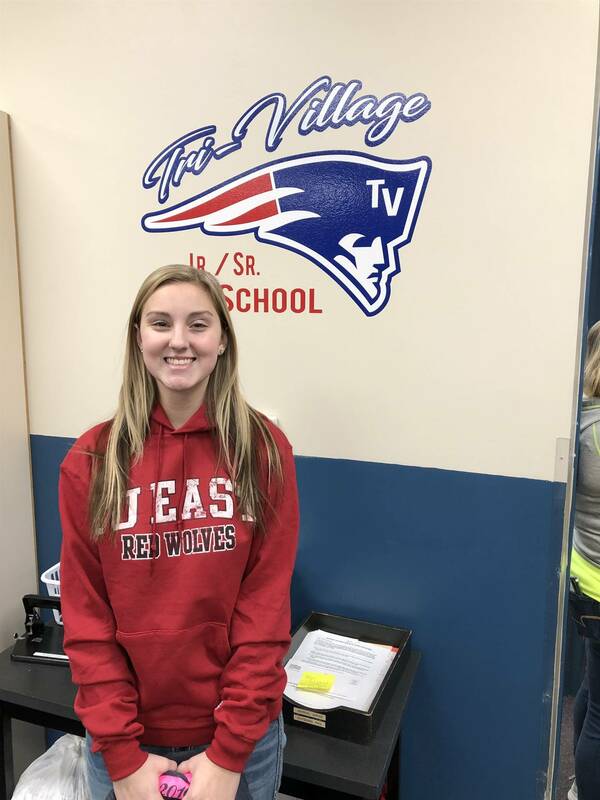 Willow Moore, a freshman member of the Tri-Village MVCTC FFA Chapter has etched her name into New Madison/Tri-Village history! Willow took 1st place at both the Darke County and District 5 FFA Creed Speaking Contests in the past two weeks; qualifying her for the State Competition on March 2nd. 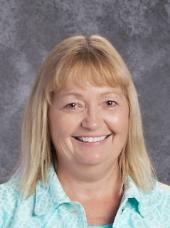 Miss Moore is the first Tri-Village MVCTC FFA member in the Chapter's 90 year history to make the State Competition! Tri-Village MVCTC FFA Agriculture Communications Team Top 15 in Ohio! The Agricultural Communications contest is designed to sharpen FFA members’ written skills as well as their computer and technology skills. 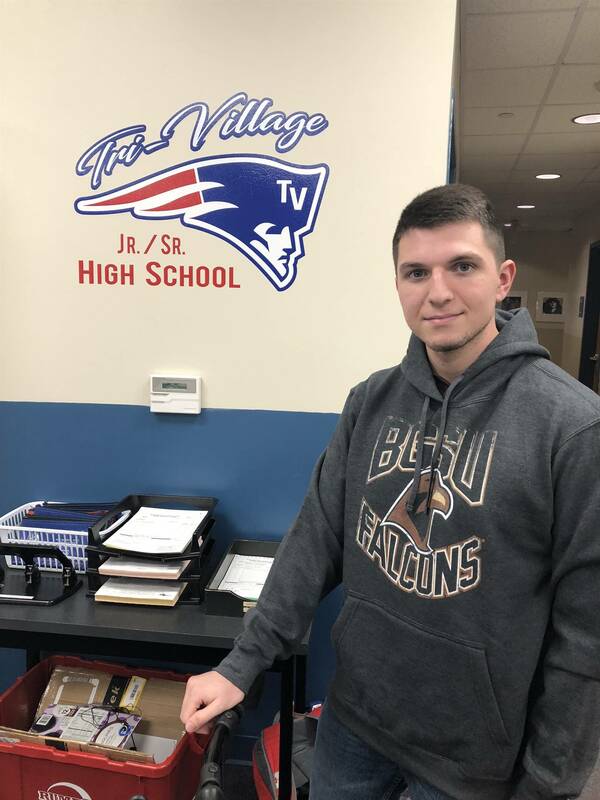 Freshman members of the Tri-Village MVCTC FFA Chapter, placed in the Top 15 out of over 320 chapters in the state of Ohio! Willow Moore, Madison Crawford, Kate Gross, Kylie Beisner and Logan Ashbaugh were tasked with developing a 15-page media tactics plan, presenting a 15-minute proposal to judges, taking 2 online Associated Press Editing quizzes and conducting practicums which ranged from Press Release writing to Web Design. 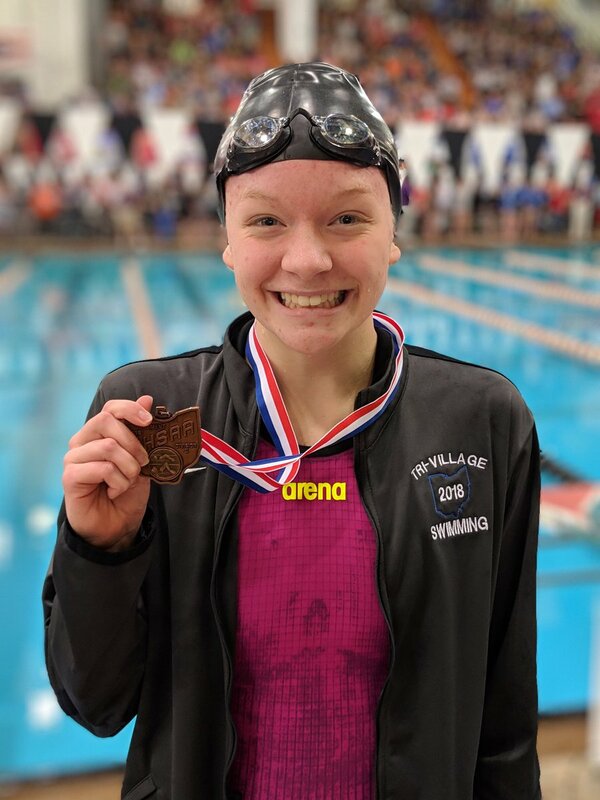 Lucie Morris finished 7th in Ohio with a time of 23.97 in the 50 free. 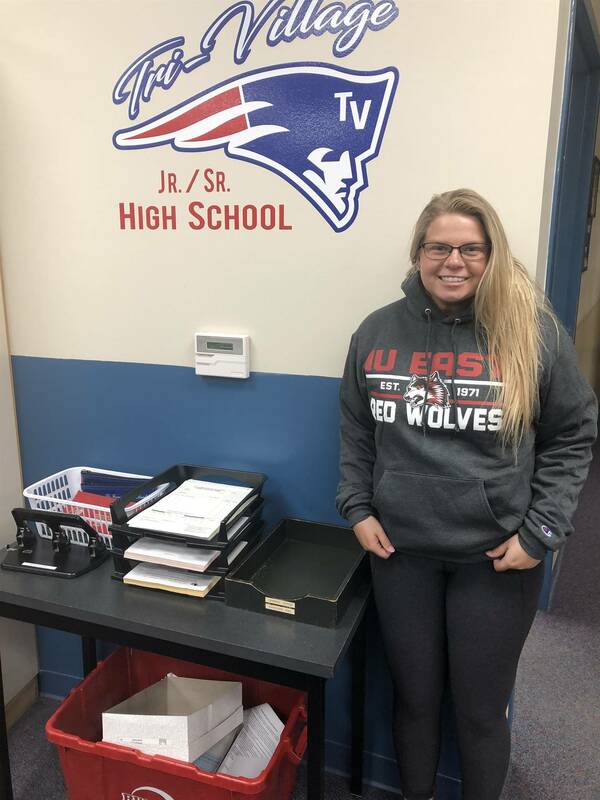 Congratulations to our senior students who have already been accepted to a College or University! Welcome to Tri-Village Junior/Senior High School. We hope that as you and your student navigate the experience of junior and senior high school, you will use our building and staff resources to help educate your child in both mind and body. 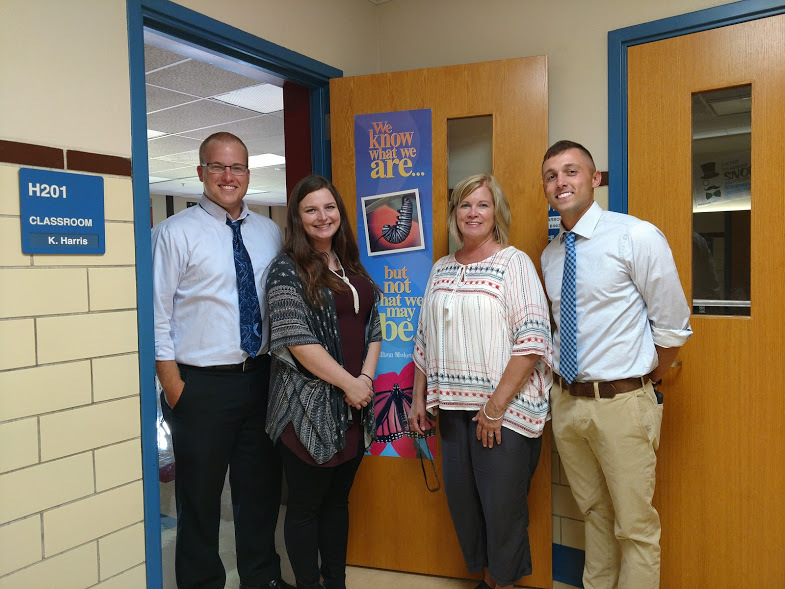 Our dedicated staff continually plans challenging lessons based on their own diverse educational and human experiences to share with their students the ways to reach their potential. 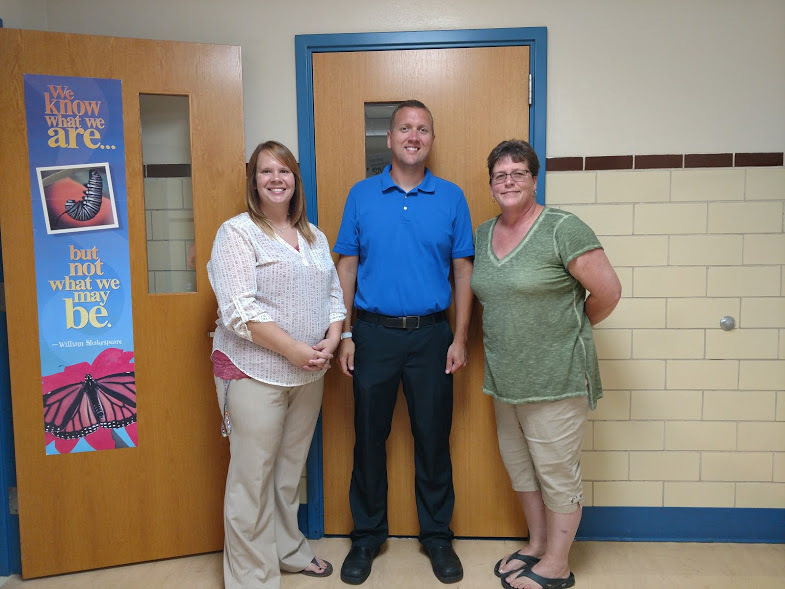 We would like to welcome our new staff members for the 2018-2019 school year. 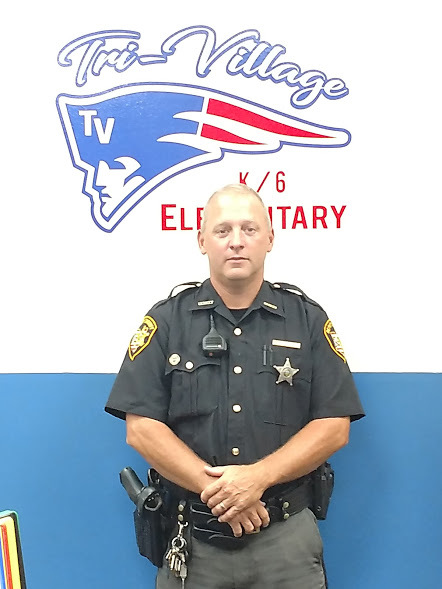 Feel free to contact me for further information about Tri-Village Local Schools at (937) 996-1511 (ext. 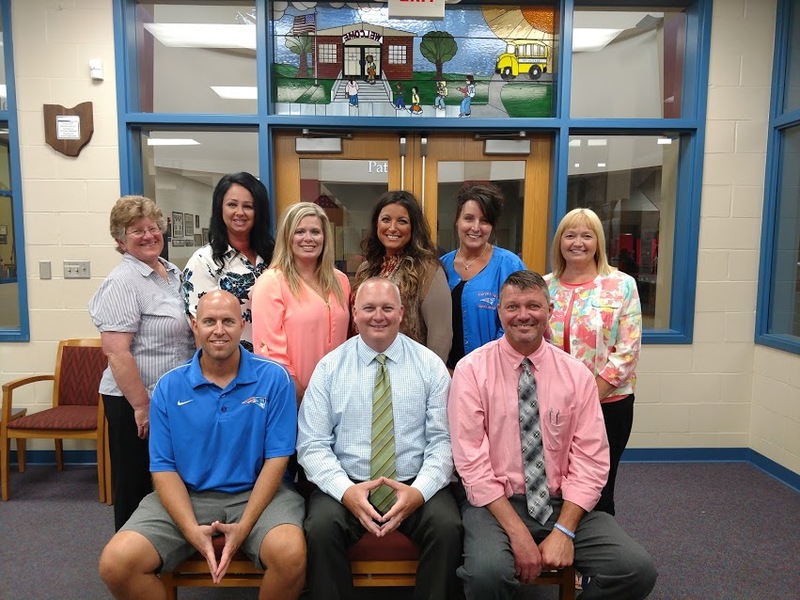 1205) or at lee_morris@tri-village.k12.oh.us at any time so that we may best serve you and your student’s individual needs. 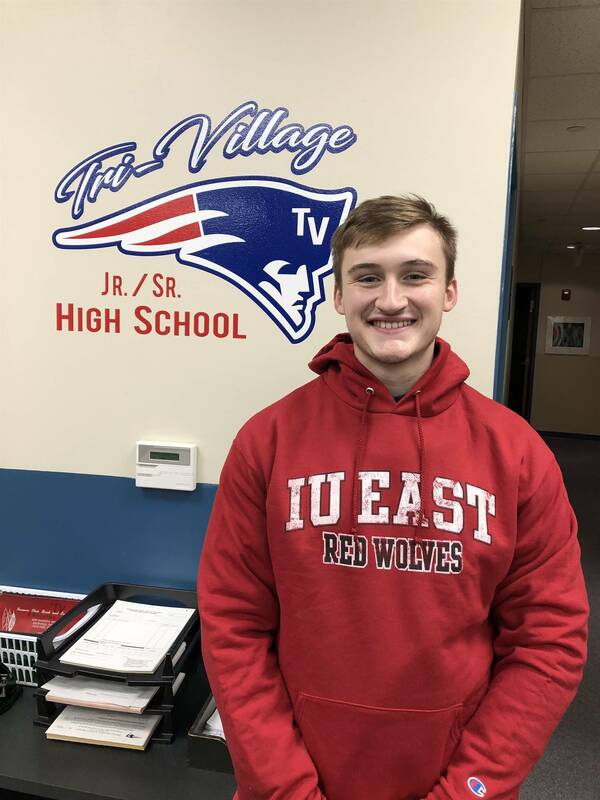 Go Patriots. 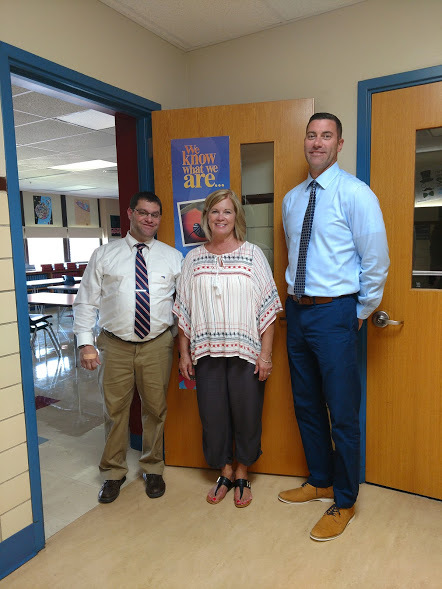 * TV Staff kicked off their year with guest speaker David Crone, a ventriloquist from Columbus, OH, whose blend of humor and education provided a great start to our school year. The eight newly elected, Tri-Village MVCTC FFA Officers ventured on their annual 3 day retreat, June 22nd through the 24th, near Lucasville, Ohio. During the Officer Retreat, the team broke down over 30 activities that they will conduct over the upcoming year, set goals for each event and assigned committee’s to direct the efforts to have a successful Program of Activities. 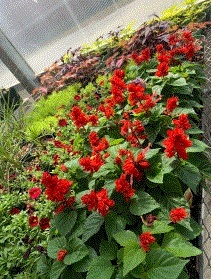 The team conducted Team Building, Leadership and Conflict Resolution Workshops to enable them all as individuals to be better equipped to handle obstacles that they will face both within the chapter and their lives, and spent a large amount of time bonding with each other during free time between work sessions. The team surrendered their electronic devices from 7am to 9pm each day of the retreat to create a more cohesive team by focusing on the goals and purposes of the retreat. 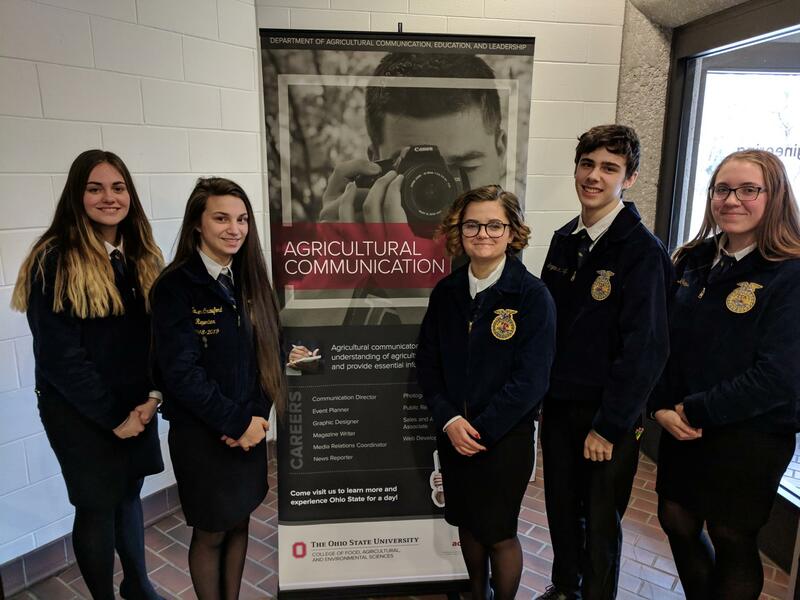 Tri-Village Agriculture Education Department and FFA Chapter is a satellite program of Miami Valley Career Technology Center in Clayton, Ohio. 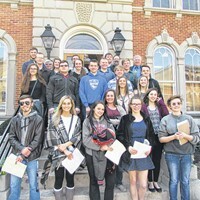 Four Tri-Village students attended the Local County Government Day on April 11th along with students from other county schools. 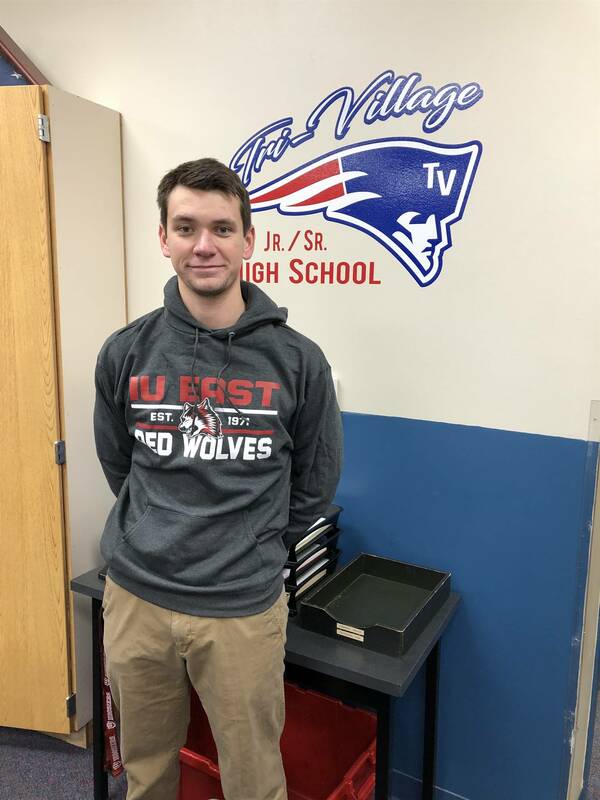 These students earned credit for attending in their American Government course taught by Mr. Beard. 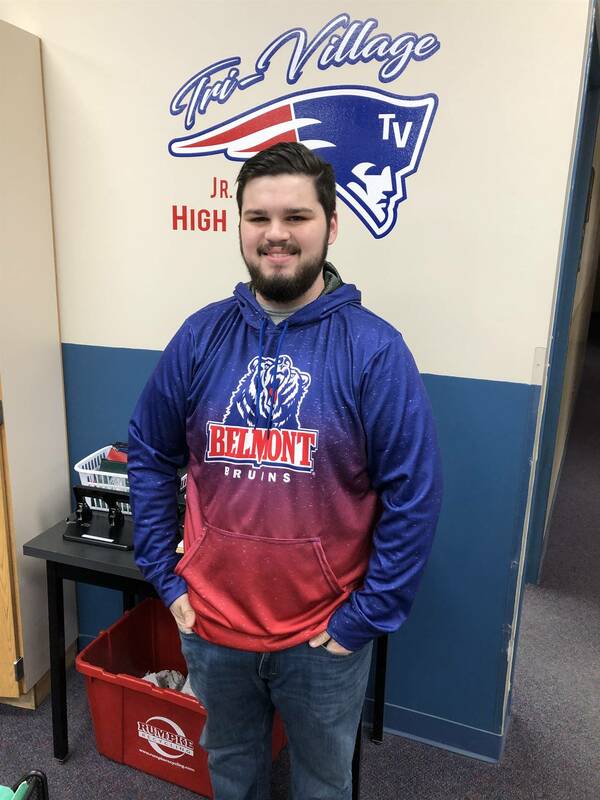 Beard believes it is important for Tri-Village students to attend local government meetings as a part of their course work so they will be more likely to engage in the system as adults. 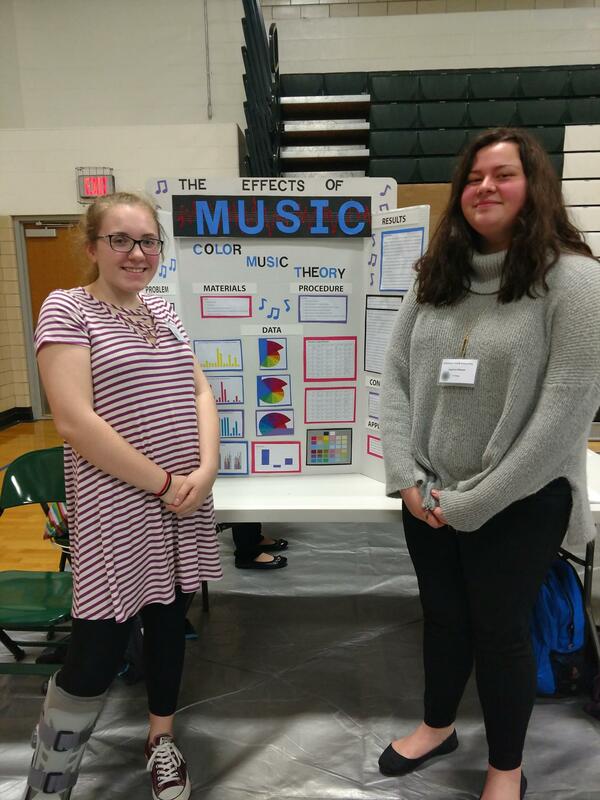 The four students attending the County Government Day activity were: Cameron Armstrong, Haven Buckley, Dessirae McCullough, and Grace Moore. On Saturday, March 19, the Tri-Village MVCTC FFA Chapter hosted their annual Parent-Member Banquet. Surrounded by over 150 parents, members, and guests at the banquet, Tri-Village FFA members of the state qualifying Career Development Event teams were recognized for placing in the Top 15 in the state of Ohio, these teams were; Urban Soils, Livestock Evaluation, and Equine Management. 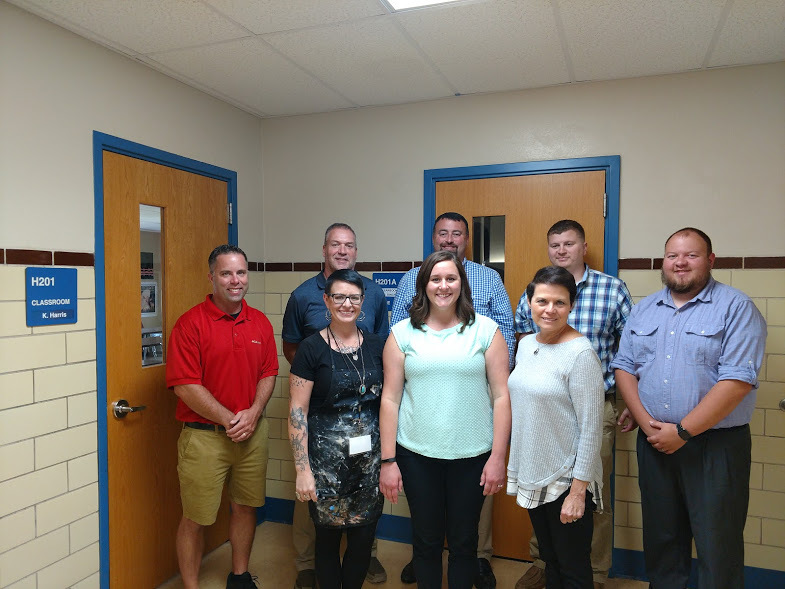 Several $3,000 Tech Prep Scholarships through Sinclair Community College and Miami Valley CTC were handed out to the following seniors; Jasmine Hileman, Tanner Jones, Kara Hollinger, and Brittany Brewer. Greenhand and Chapter FFA Degrees were awarded to Freshman and Sophomore members, Chapter Proficiency Awards and Star/Outstanding Members were also honored! 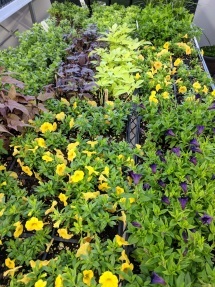 The Tri-Village MVCTC FFA would like to especially thank; Stockslager's Greenhouse & Garden Center, Tim Brandt Hog Farms, Hollinger Excavating, Slone Livestock, Crawford Farm’s, Beck’s Seed - Rob Godown, Cargill, G3 Family Farms for the banquet preparations and all of our sponsors throughout the 2017-2018 school year. We apologize that our list of supporters is too long to list here, but our members are truly grateful for each and every one of you! Tri-Village Agriculture Education and FFA is a satellite program of Miami Valley Career Technology Center, Clayton, Ohio. 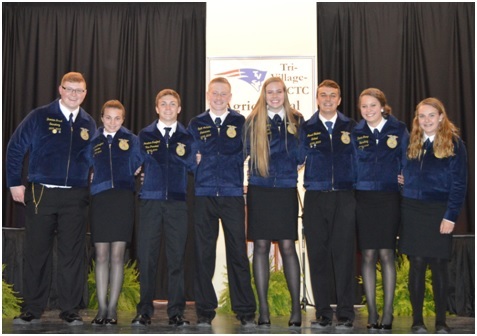 2018-2019 Officer Team (Left to right): Brenden Durst -Student Advisor, Madison Crawford-Reporter, Jonathon Crawford- Vice President, Gavin Lochard - Treasurer, Maddie Downing - President, Jared Godown- Sentinel, Rorie Stump- Secretary, and Jenna Godown -Historian. 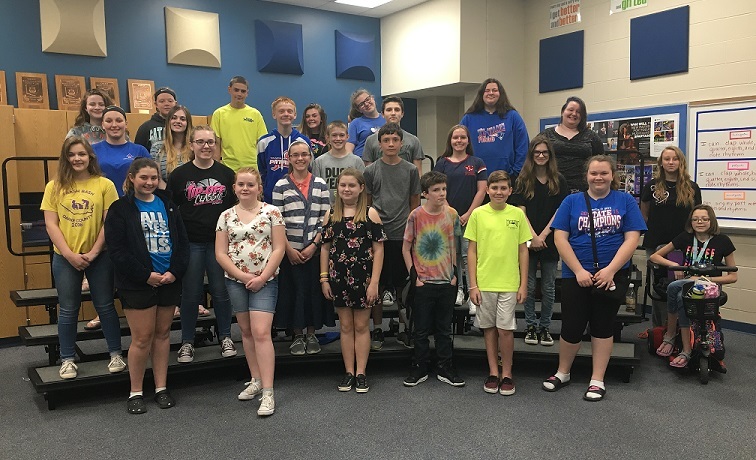 On Saturday, junior high band and choir students performed in the OMEA Solo & Ensemble Competition. 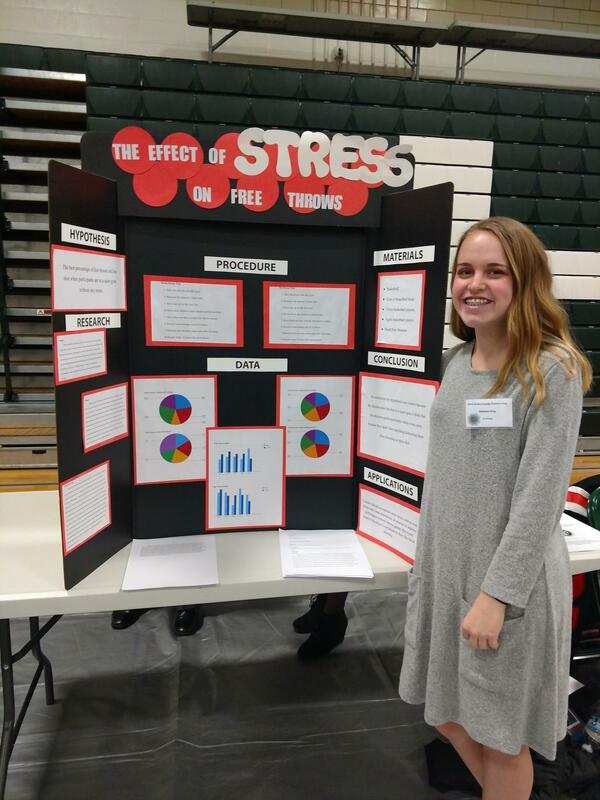 The following students received the top rating of superior in their events: Lainey Miller, Jamie Hemmelgarn, Micah Ayette, Caleb Derksen, Gabby Hall, Daniel Watern, and Emilee Frech. Congratulations! 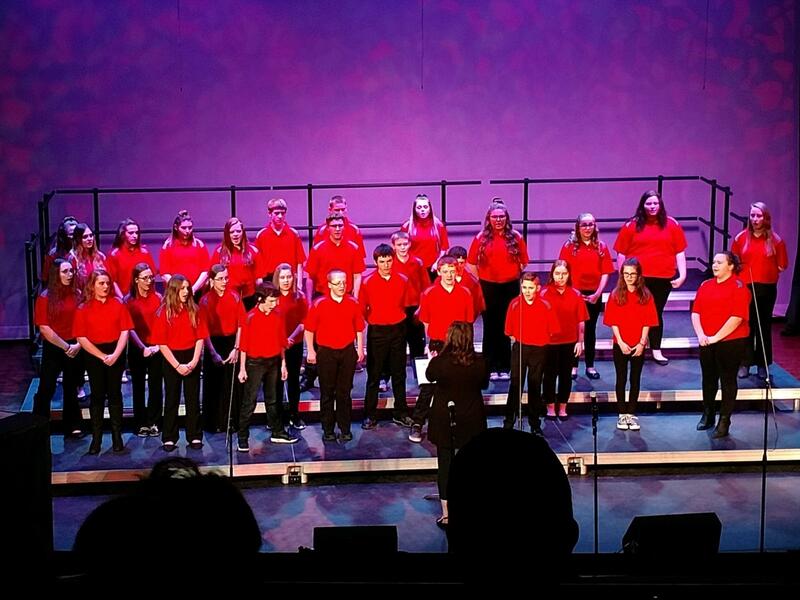 TV Choir performing at the Darke County Choir Festival at Memorial Hall. 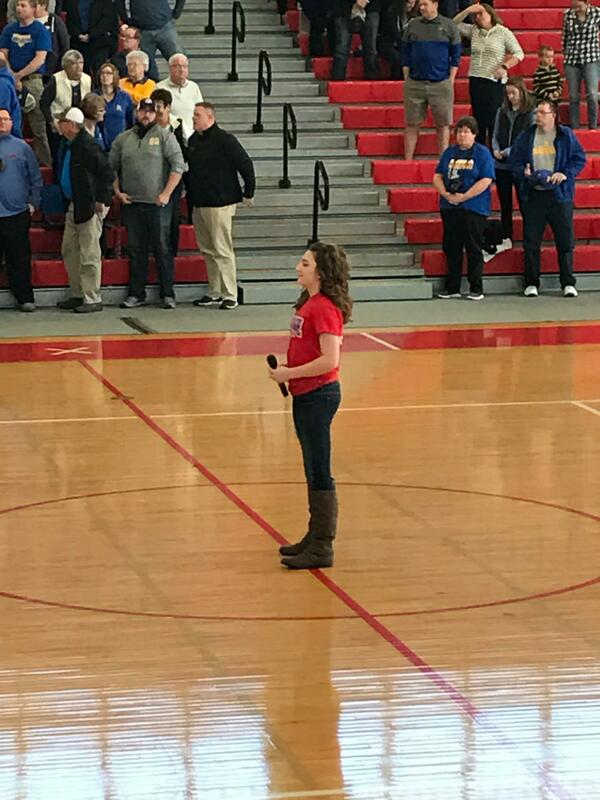 Katelyn Hanes singing the National Anthem at the start of the girls District OHSAA Championship Game. 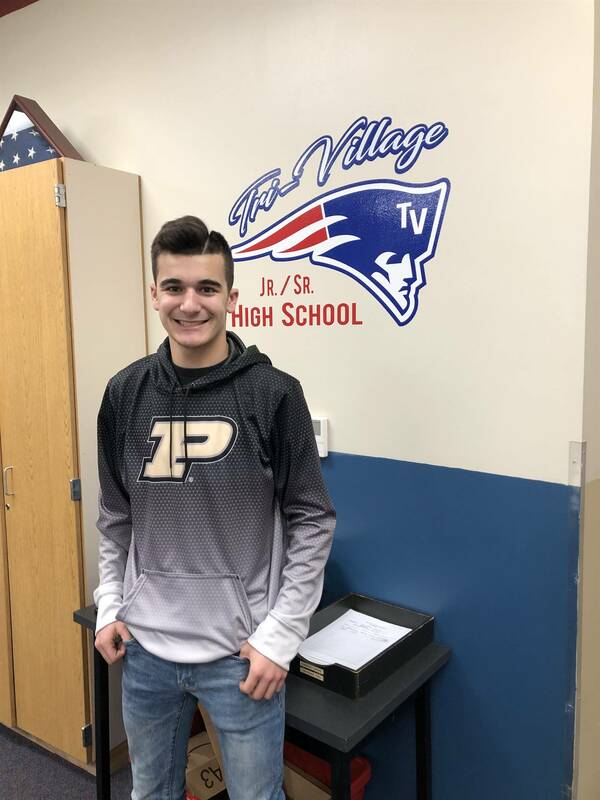 Congratulations to Jeff Ketring who will be the Tri-Village Junior High representative at the Darke County Spelling Bee on January 23 in Ansonia.